For those of you following my work (well, I can certainly dream I have devoted followers), you may recognize this technology-related post as a continuation of my STEAM on a Shoestring series, all about bringing new life to your old STEAM routine. If you haven’t read the previous two, you can find great Science and Engineering ideas from some of my personal library role models by following the links provided. 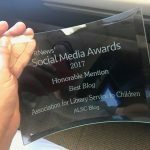 If you have already read those previous posts, however, you might notice something a little different this time: While previous posts have highlighted the work of numerous library professionals, this one will include lots of ideas from one librarian. Alessandra Affinito is a Senior Children’s Librarian with New York Public Library, and when I think tech programming for kids, I think of her. Since all of these programs come from one source, I’m using Alessandra’s cost estimates to organize them. All program descriptions and photos come directly from Alessandra. Scratch is free online software for learning introductory code and sharing projects that is easy to incorporate into a wide range of tech programming! It operates mostly on block-based command codes that are color-coordinated by their function. Novice coders can experiment with different tutorials that make cartoon “sprites” move around, while more advanced students can go on to create animations, games and tons more. There are also options for collection tie-ins with numerous books (like this one or this one) that teach new tips and tricks for navigating Scratch. Code.org is another free software program that hosts tons of pre-made lessons on computer programming for a wide range of ages. If you’ve ever heard of Hour of Code, these are the folks that started it. I like this one because, as a facilitator, you don’t need to have a strong grasp of coding; you can follow and learn the tutorials right alongside the kids. There’s also opportunities to get in touch with computer programmers in your area and ask them to volunteer with your club. Coding doesn’t always mean sitting in front of a screen! I’ve had great success with this Lego Coding Maze idea, complete with a supporting printable PDF. You can print out a set of maze challenges, build walls around them with LEGOs, and challenge kids to code instructions for a player to navigate their way out of the maze. The world is full of complex technology, but everything hinges on the Simple Circuit. I love doing lessons that teach kids about the components of larger technological machines by having them connect batteries to small bits and decorating with craft materials to make simple robots. The component parts are pretty cheap (Sparkfun is my go-to, but there are plenty of options out there), and there are a ton of different end projects that use these materials. Some favorites of mine are light-up flowers (LED, coin-cell battery and pipe cleaners), buzzing egg-bots (vibration motor, coin-cell battery, plastic Easter egg and optional LED), and draw bots (markers, cup, DC hobby motor, coin-cell battery, Styrofoam or cork, and craft stick). Makey Makey is a sweet tech tool that combines coding in Scratch with physical circuit connections. The Makey Makey itself is basically just a circuit board with a USB hookup. But by using alligator clips (included in the kit), kids can hook up their board to any conductive object, which then connects back to the computer program in Scratch. Play Pac-Man using Play-Doh buttons, make drum beats with a banana, or (my personal favorite) create a huge piano you can play with your feet! There are great tutorials on YouTube and free programs in Scratch, but kids can also write their own programs if they have a more complex knowledge of Scratch. I also really like these kits because they’re a great way to encourage groups of 3-4 kids to work together on larger projects. Hummingbird works a lot like Makey Makey, in that it’s a circuit board attached to a USB input controlled by code. But there are SO many more options with what you can input, and the complexity of the projects you can make is incredible. Each kit has the capability for a vibration motor, temperature sensor, distance sensor, light sensor, servo motor, DC motor, 4 LEDs and 2 tri-color LEDs. This tool also has a ton of free project tutorials available from the Hummingbird website or YouTube if you can’t decide where to start. Dash is a programmable robot that takes code and acts out commands in real time. Dash can move in fun ways, make sounds, “blink” its eye lights, react to its environment using sensors and more by employing simple drag and code blocks in the “Blockly” iPad app. It’s similar to Scratch in a lot of ways but easier to manipulate for younger users and with a way more tangible output. There are also lots of options with this tool to create narratives around Dash and set up puzzles/challenges to test out different computer programming concepts. It’s a personal favorite of mine. Finally, Kano Computer Kits are a great option for smaller groups that really hones in on the physical side of what goes into making a computer. Kids get a kit with a Raspberry pi that they construct and hook up in steps, learning along the way all the different technical aspects that go into a modern computing machine. Once they finish, the Kano interface has lots of apps and games that teach the coding side of computers, including a program where kids “Hack Minecraft” using type-based code. This post addresses the following ALSC Core Competencies: IV. Knowledge, Curation, and Management of Materials and III. Programming Skills. Great tips! Thank you for sharing them out. What do we know about STEAM programs offered in libraries for adults? 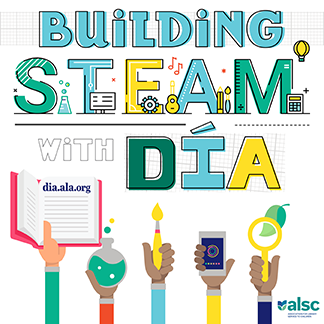 As a children’s librarian writing for ALSC, I’m going to be perfectly honest and say I don’t have a whole lot of knowledge on adult STEAM programming. However, we have some great resources here (in the form of fantastic librarians), so hopefully someone else will have some program ideas they’ve heard about/seen in action!